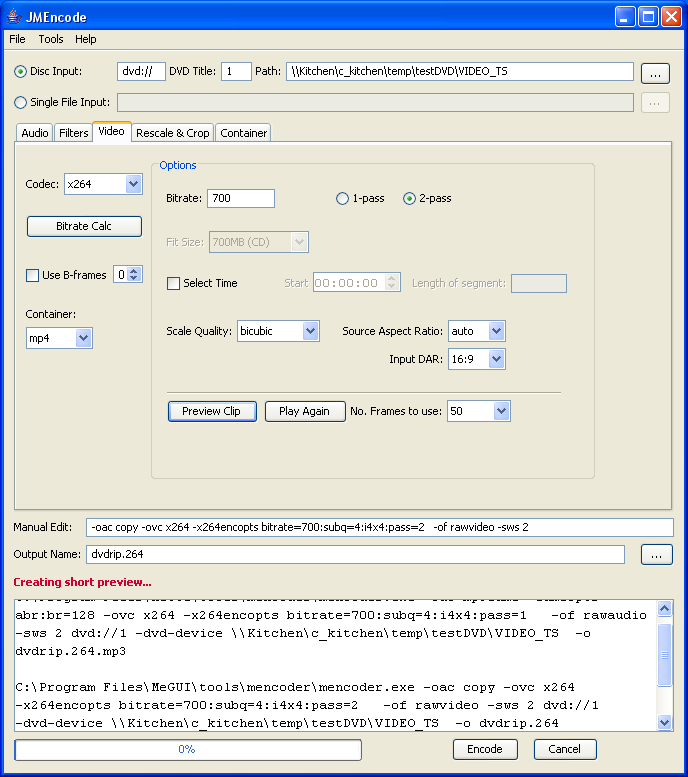 This program is a simple java front-end for the free and very useful MPlayer software, for the purpose of encoding video. 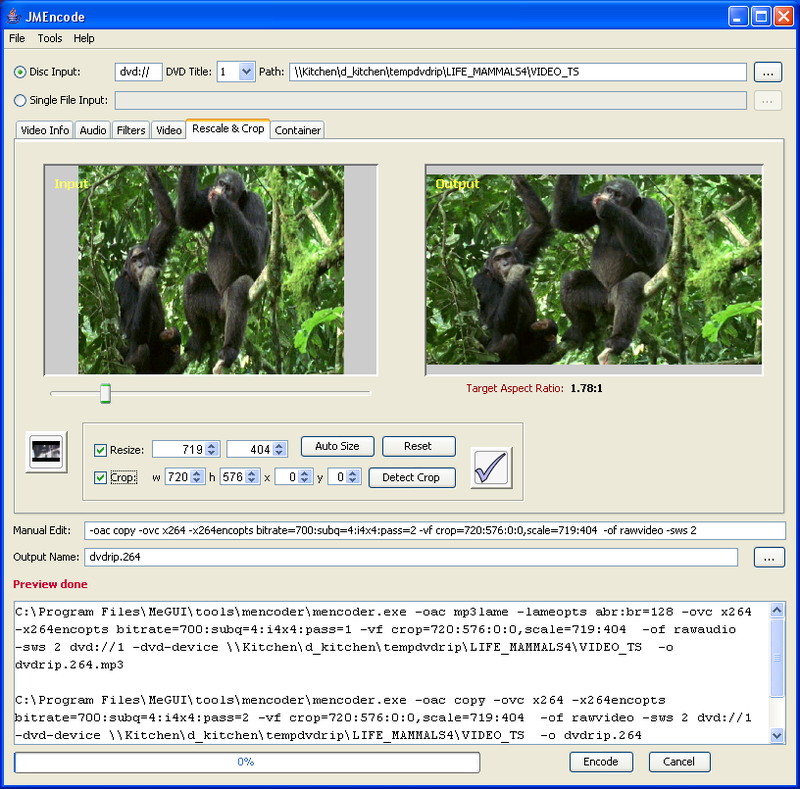 Initially the focus is on converting DVD into MPEG-4. MPlayer and Mencoder are available under the GNU General Public License v2. Mencoder is primarily used on linux or related unix platforms, but there are binaries for running on windows also. There are many freely available frontends for this kind of functionality. The purpose of this exercise is to create one that try to be as cross-platform and simple as possible. This means excluding the use if a piece of software like Avisynth, which in it's current version is only available for windows.